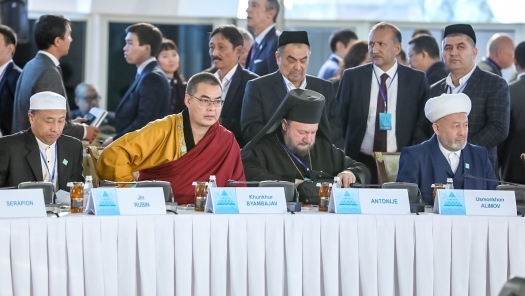 ASTANA – Religious leaders adopted a declaration on the role of religion in the modern context Oct. 11 on the second and final day of the Sixth Congress of the Leaders of World and Traditional Religions here. “We appeal to all people of faith and goodwill to unite in this difficult time and make their responsibility in ensuring peace and harmony on our planet,” stated the declaration. The declaration states that to resolve conflicts and ensure stability, the religious leaders agreed to establish dialogues with politicians, international organisations and civil society. 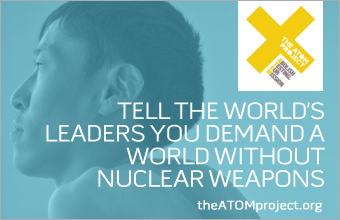 This includes calling for negotiations between the parties of military conflicts and reject the use of violence. “Religion will play the peacebuilding role,” said Dmitry Safonov, the executive secretary of the Interfaith Council of Russia. They also agreed to support and respect religious diversity and counteract provocations of pseudo-religious rhetoric enticing hatred and extremism. “(We) express solidarity with all religious groups and ethnic communities exposed to the rights and violence inflicted by extremists and terrorists,” stated the declaration. The religious leaders stressed that extremism should not be associated with religions. “We should not confuse Islam with terrorism. It is the mistake of many media. Islam is the religion of peace and tolerance. It doesn’t promote extremism. Security and safety is a human right. That is what Islam believes,” said Mufti of Tajikistan Saidmukarram Abduqodirzoda. Astana hosted the first such congress 15 years ago and believes the congresses have had a positive impact. “This is the gradual process. The first congresses disagreed on many issues. Now they have more understanding. It is a big success that they are talking about peace and cooperation. Earlier it was hard to even imagine how all of them can sit together. Now it is easy,” said Kazakh Deputy Foreign Minister Yerzhan Ashikbayev. Ashikbayev and other officials also stressed the importance of taking actions. One of the first steps forward could be the opening of what was proposed to be called Nazarbayev Centre for Inter-Civilisational Dialogue that will serve as the hub for reconciliation and building peace a centre. Another key measure mentioned by the deputy minister is educating youth, which was also included in the declaration. It specifies that education about should be about religions, tolerance and respect for family values. “To prevent the radicalisation of youth. To make religion serve its original purpose and not to confuse them with messages from radicals,” said Ashikbayev. The declaration also included a separate point that religious leaders are ready to support and protect refugees. “(We) support efforts aimed at protecting refugees, their rights and dignity, as well as providing them with all necessary assistance,” stated the declaration.